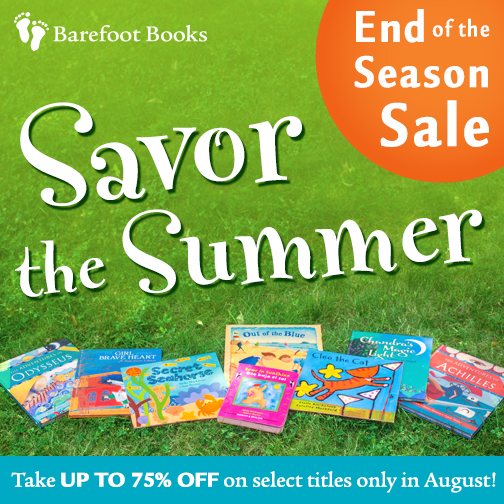 All Aboard the Bookshelf: Summer Sale 2015 - Singalongs! Singalong books with CDs are perfect for listening to in the car (and I promise that you will enjoy listening to them as much as your little one), or for indoor dance parties when the weather outside is stormy. Pop the CD into a computer and you'll also find an animated version of the book - so much fun! Paperback singalongs are normally $9.99 but the three titles below are only $7.99 during the summer sale. 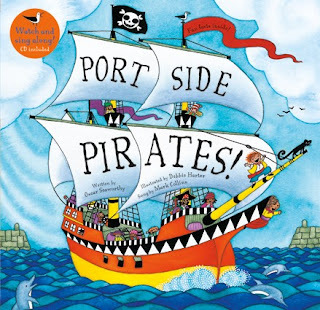 Portside Pirates! is a perennial favorite - it has a catchy tune, colorful illustrations full of quirky details, a diverse cast of characters, and fabulous end notes including a labeled diagram of a pirate ship and a list of famous pirates from history. 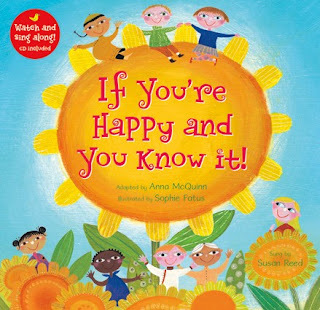 If You're Happy and You Know It! is the classic song given Barefoot's signature multicultural twist - meet children from 36 different cultures as you clap your hands, pat your head, and turn around - then learn how to say "hello" in each of their languages at the end of the song! 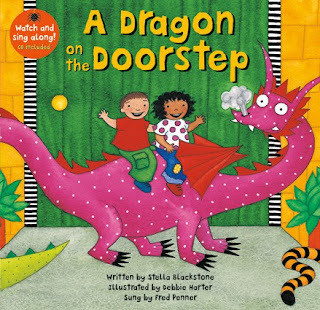 A Dragon on the Doorstep is a rousing game of hide-and-seek with a dragon, a tiger, a crocodile, a gorilla, and all sorts of other creatures - your child can join in the fun while exploring the house and engaging his or her imagination! Want to save even more? 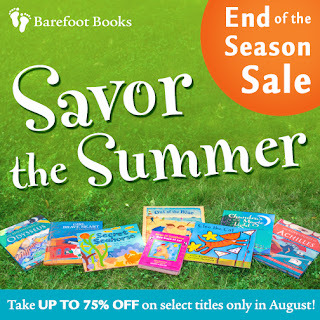 Use the discount code 2015SUMMER to save 20% on everything, including books on sale!